(CNN) Fishermen off the coast of Canada have nabbed some rare treasures. 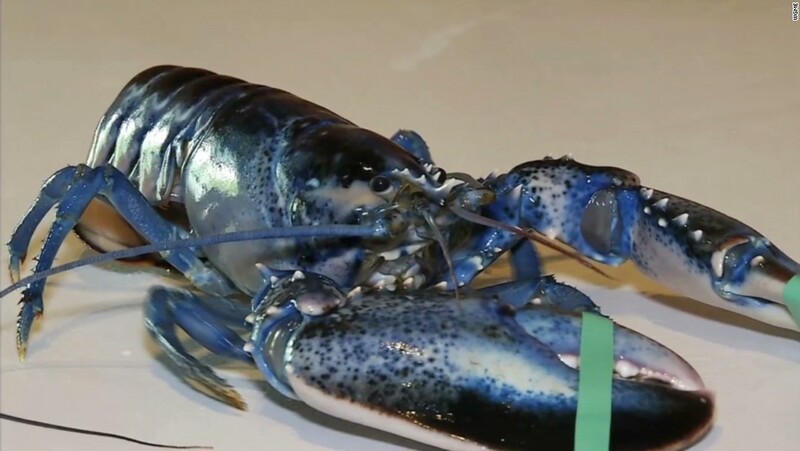 In the past week, two blue lobsters that look like they should be in a science-fiction movie were discovered in the waters off Alder Point, Nova Scotia. Lifelong fisherman Blaine Marsh made the first crustacean discovery, and his granddaughter got to name the sea critter. She dubbed the lobster Blueberry. “It’s a good luck sign for the fisherman. 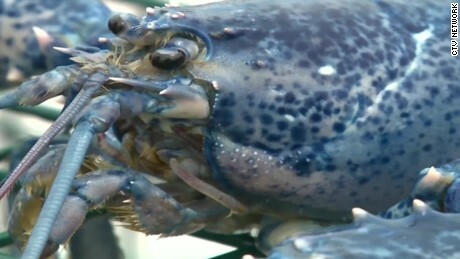 I hope the fisherman have a good season this lobster season.” Marsh’s wife, Mary Marsh, told CNN’s affiliate CTV. Marsh released the lobster back in the ocean on Sunday. Then on Monday, Scott MacKinnon caught a second blue lobster about 93 miles away near Low Point, Nova Scotia. So how unique are these blue critters? About one in 2 million have a special gene mutation that affects their coloring, according to the University of Maine Lobster Institute. This phenomenon produces high levels of protein that give the crustaceans their bright azure hue. MacKinnon named his lobster Opal, and plans to keep it in a tank until the end of lobster season, which is July 14. “The old people say it’s good luck and prosperity for the boat. No chance on eating it, no. We’re going to send the good luck back to the ocean,” he said. Although rare, and undoubtedly beautiful, blue lobsters have been captured in the past. In 2012, a Canadian lobster boat captain nabbed one and tried to offer it to a nearby ocean research institute, but scientists there were not interested in the creature. There’s an even rarer crustacean that exists in the wild, though. The albino lobster is so uncommon that the chances of catching one of those are one in 100 million.